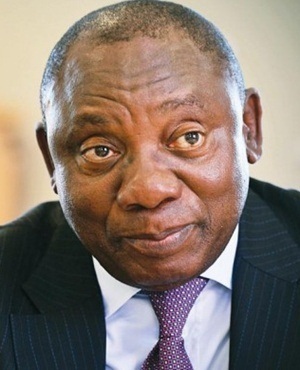 "The investment conference, which will involve domestic and international investors in equal measure, is not intended merely as a forum to discuss the investment climate," said Ramaphosa, according to his prepared notes. "Rather, we expect the conference to report on actual investment deals that have been concluded and to provide a platform for would-be investors to seek out opportunities in the South African market. We are determined that the conference produce results that can be quantified and quickly realised." Ramaphosa said government hopes that the conference would generate at least $100bn - or about R1.2trn -in new investments over the next five years. "Given the current rates of investment, this is an ambitious but realisable target that will provide a significant boost to our economy." Ramaphosa also unveiled the names of four 'special envoys on investment', who he said would spend the next few months engaging both domestic and foreign investors around economic opportunities in SA. "They will be travelling to major financial centres in Asia, Middle East, Europe and the Americas to meet with potential investors. A major part of their responsibility will be to seek out investors in other parts of Africa, from Nairobi to Lagos and from Dakar to Cairo," he said. According to Makhaya's website, she has served as an adviser and angel investor to a number of companies, and has held non-executive directorships at Vumelana Advisory Fund and MTN South Africa.